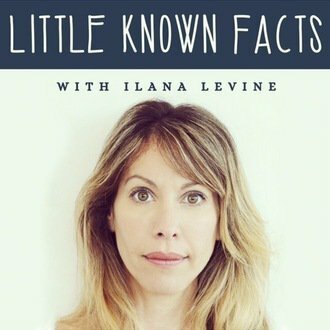 About: Little Known Facts is a podcast hosted by Broadway , Film and Television actress Ilana Levine. Ilana's unique show offers celebrity interviews that are raw, honest, funny and uniquely revealing. Guests include Broadway's biggest starts including Cynthia Nixon, Ben Platt, Tony Shaloub, Anthony Rapp, Matthew Broderick, Kristin Chenoweth, Andrew Rannells , Laura Linney, Reed Birney, Roger Bart, John Slattery, BD Wong, Kathryn Erbe, ELizabeth Marvel, Danny Burstein, Judy Kuhn, Dan Fogler and many more.